Although this quest only requires 1,000,000 Coins I reccomend bringing more because it will most likely take multiple attempts. If at any point you relog you will be teleported outside. If a group member skulls and you are unable to red them everybody should relog and start over. Make sure to group everyone doing the quest but nobody else as this will kick you out on the second room. Head to Andor Lobby and walk to the bottom corner. 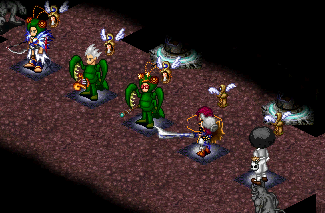 Equip your mantis costumes and speak to the ant. He will ask for 1,000,000 Coins and then teleport you to the first room. Equip the Magic Lantern that you recieve to help you see a little further than usual. Head north and take the first portal on the left. Head south till you reach the door. 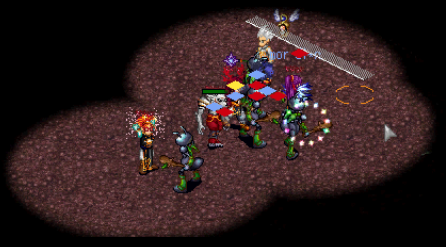 Walk south and have a group member stand on each teleport square. You fill find yourself seperaed from your group, follow the path and meet in the middle. Once all the group is there safely, head north. Tactic 1; Slow: Move one square at a time across the bridge and wait for the group to catch up. When the bridge starts to "collapse" run as fast as you can to clear it. 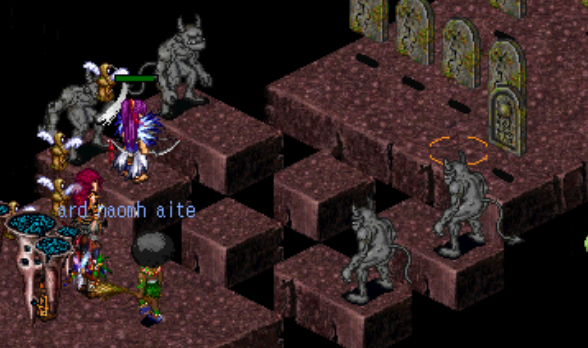 Tactic 2; Two-man Rush: Have two strong people rush to the end of the bridge and clear the monsters. 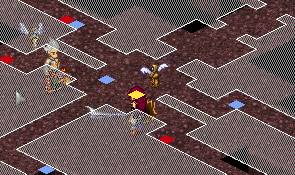 The whole group will be teleported to the next room when one person reaches the end. 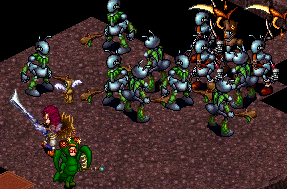 Do not attack the Gurdian until all the other ants are dead. Follow this path to reach the next room. Kill any Guards that may be in the group's way. 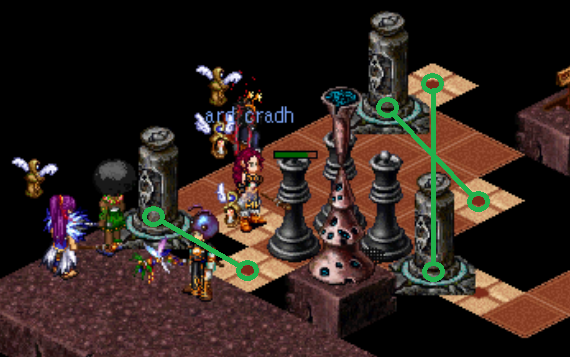 When you attack a chess piece it will move in the direction you are currently facing. 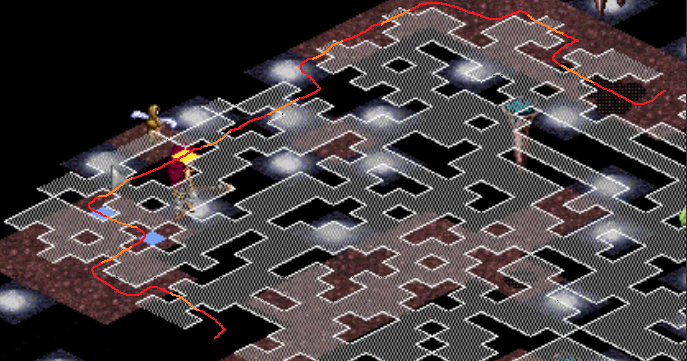 Players with ambush can be temporarily "left behind" to help the others through the maze. Click the gravestones when they are facing south to advance. If you click them when they are facing away you will be knocked back one step. 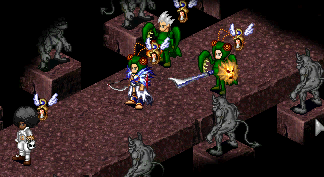 The statues will attack you so fas, aite and heal eachother. Search the room whilst killing guards to find the 5 Guardians. Underneath each guardian is a teleport square. After all the guardians are dead have one player stand on each tile to proceed. Note: Do note hide or the ants will ao sith the group. 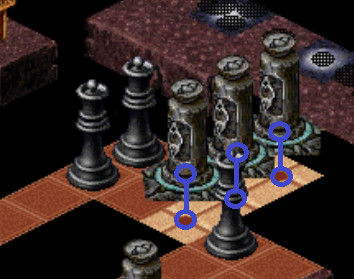 In the centre of the room is a chess piece. Assailing it will give you a riddle. If you do not get one of the riddles from below press escape and try again until you do. Capitalize the first letter of the word and do not include a period. As a whole, I am both safe and secure. Behead me again, and I am the partner of ready. You will Receive a Broken Andor Shield and the Legend Mark: "Explorer of Andor Dungeon"